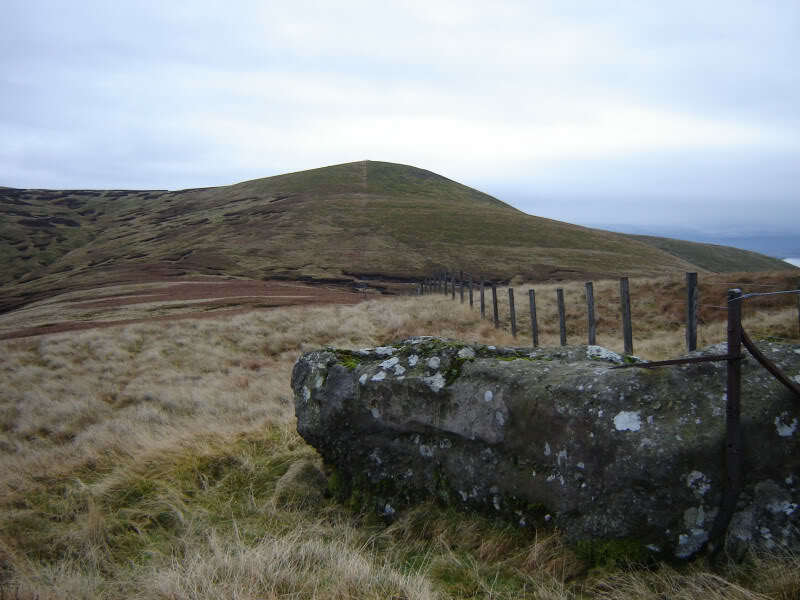 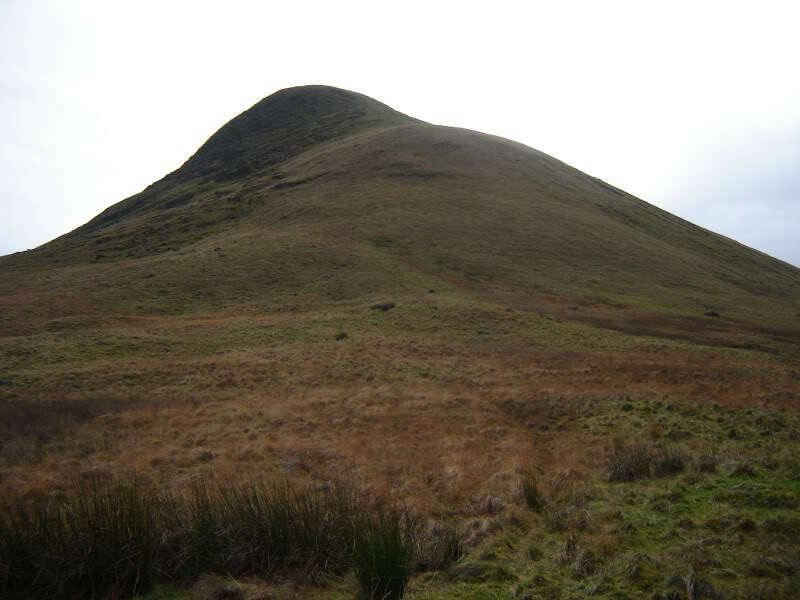 I set off today to ascend the three New Donalds, accessible from Glen Artney. 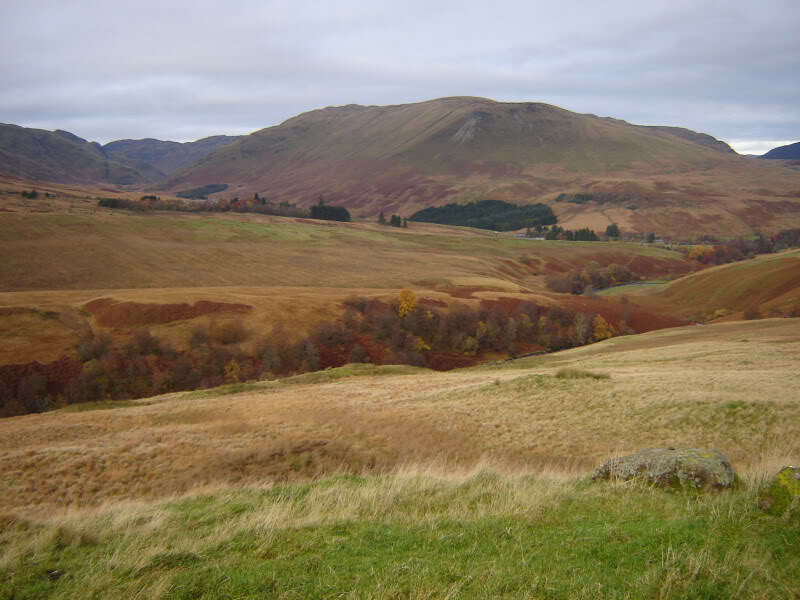 First time I have visited this glen. 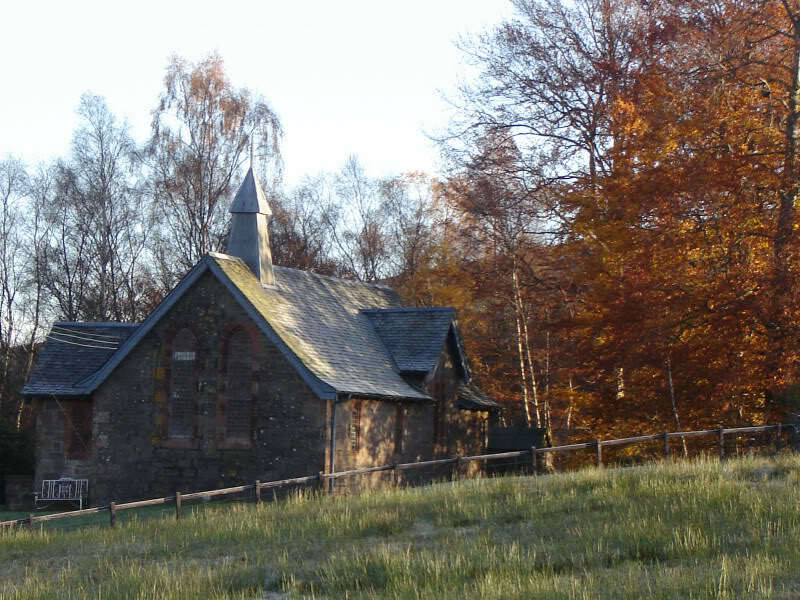 I parked in the large car park across from the Glen Artney church. 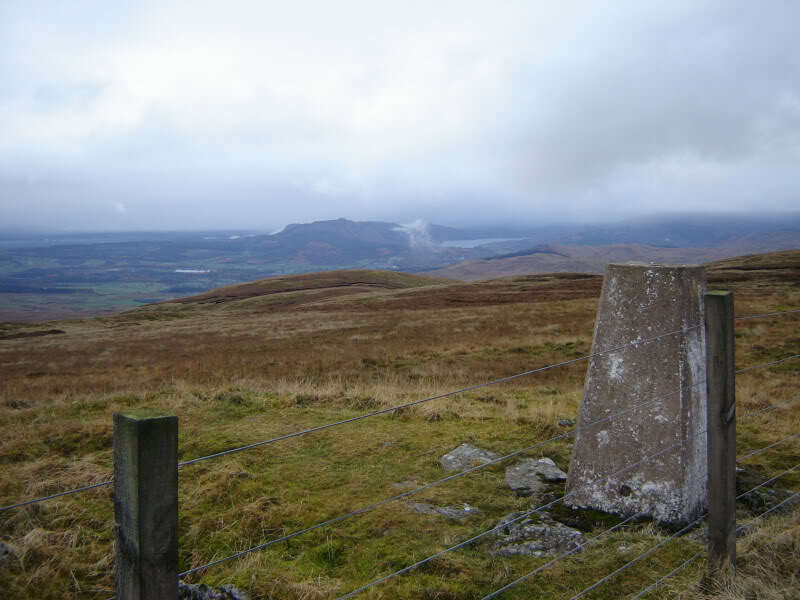 A sign advises 'no parking beyond this point'. 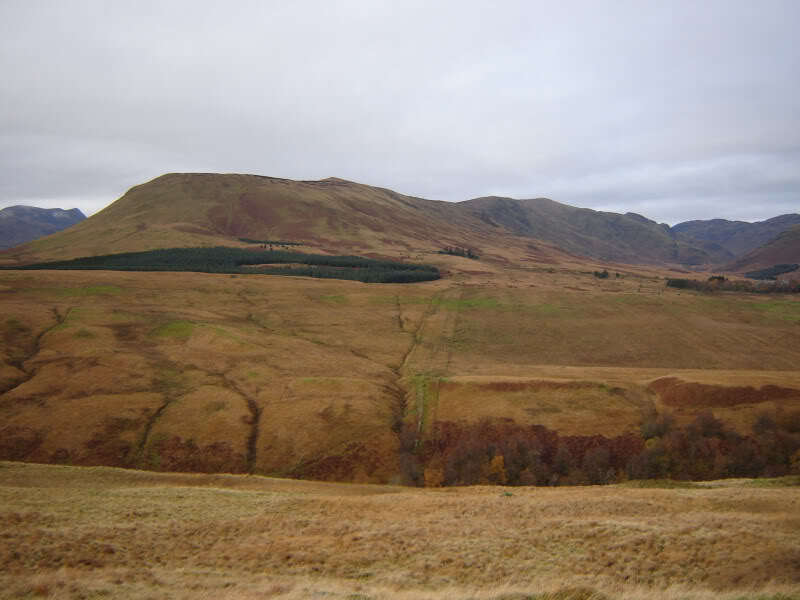 I took to the hillside directly across from the car park with a view to undertaking a clockwise circuit of Beinn na Eun, Beinn Odhar and Uamh Bheag. 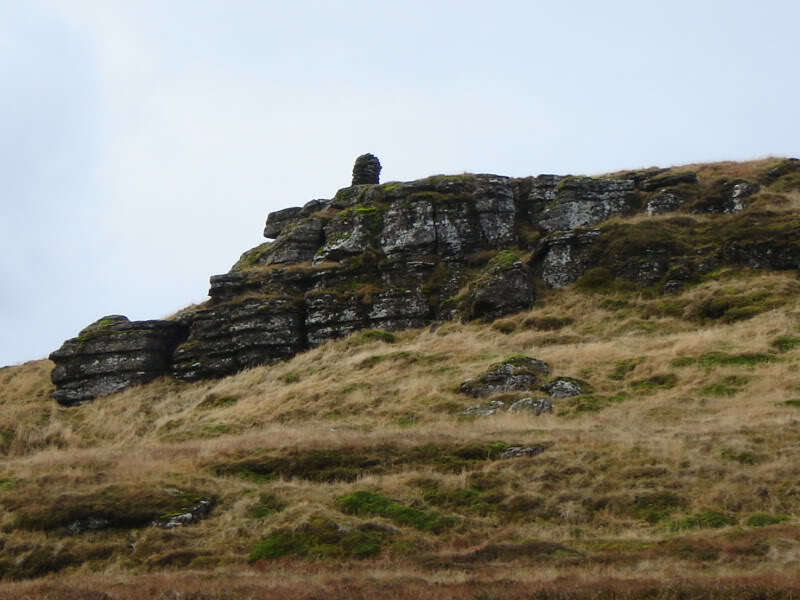 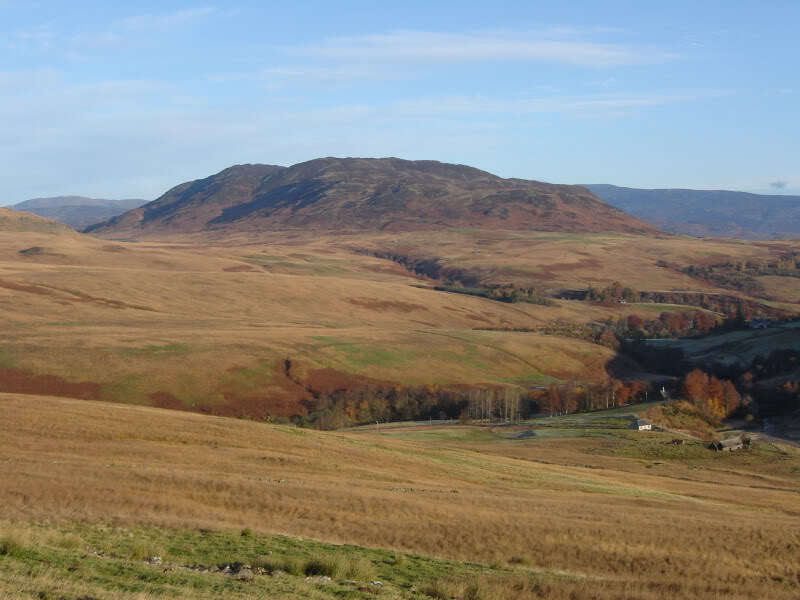 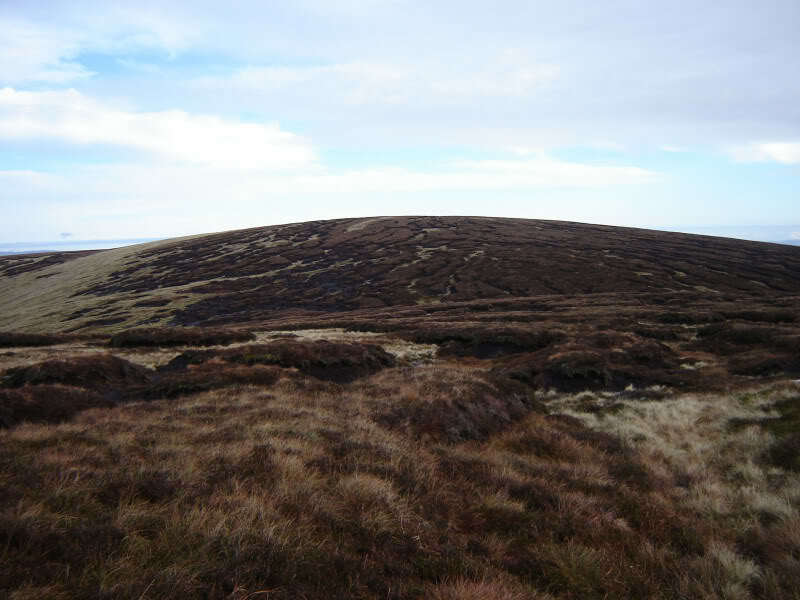 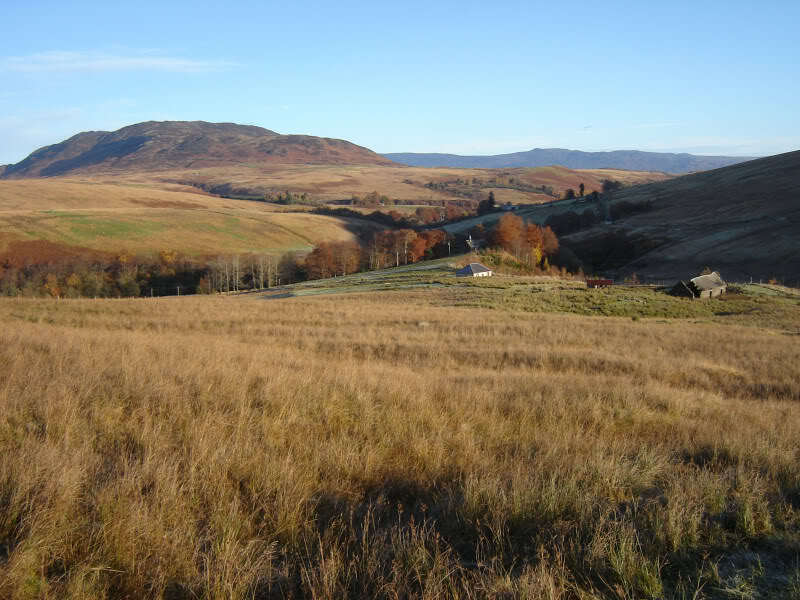 Much of the walk today was pathless - the terrain was mainly long grass on the slopes and peat hags on the ridge. 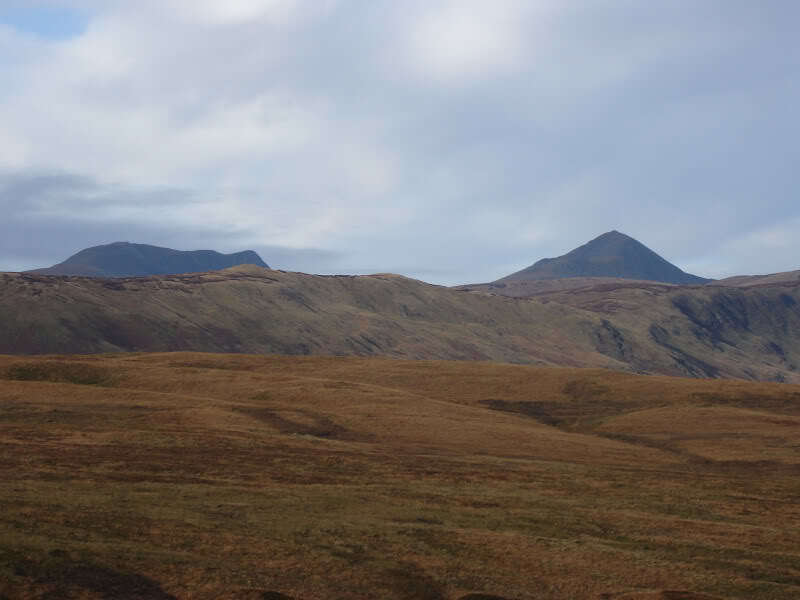 Mor Bheinn and Beinn Dearg both look fine hills. 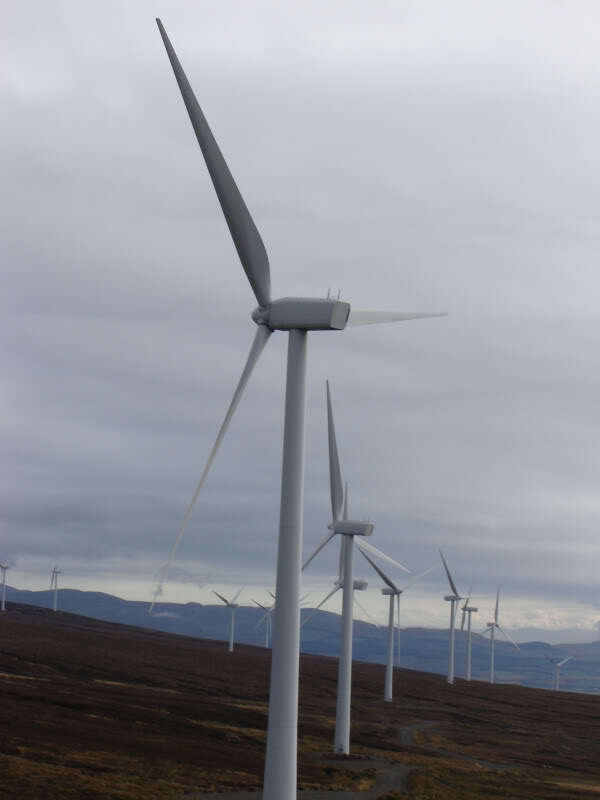 I look forward to ascending them some time in the future. 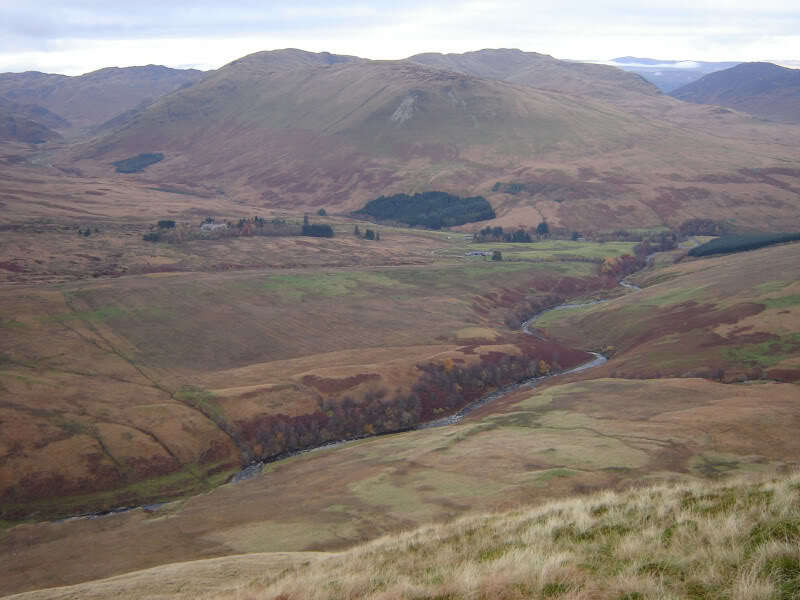 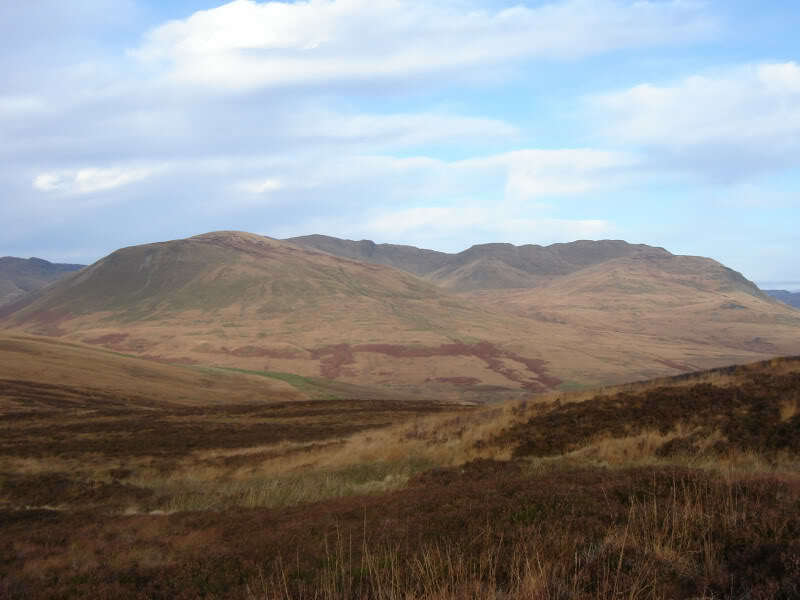 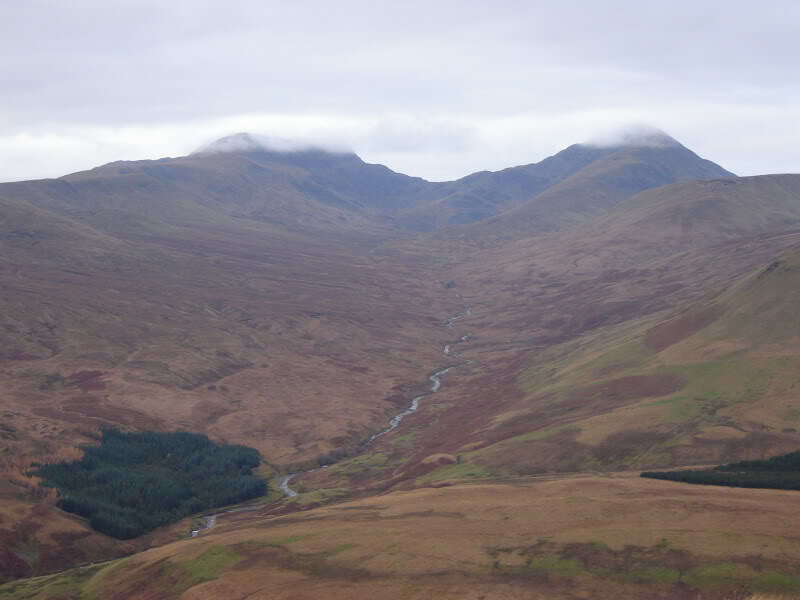 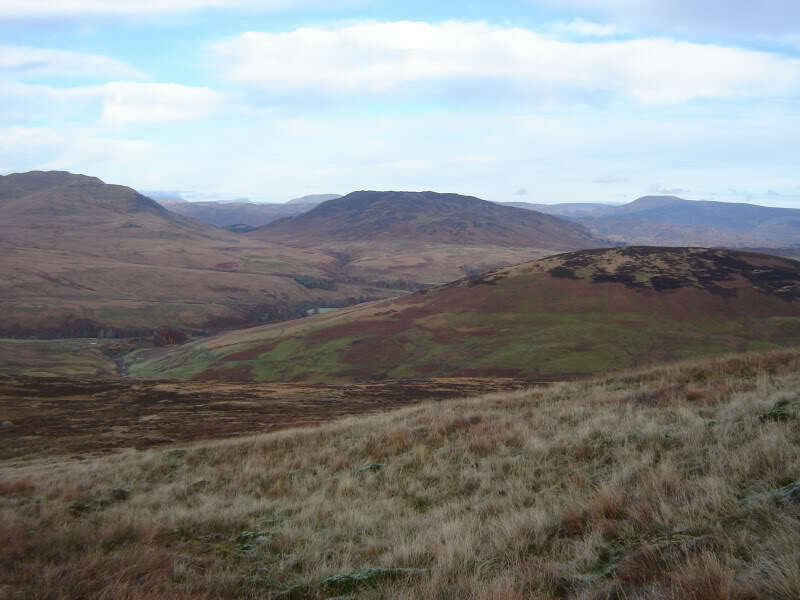 I initially ascended Auchnashelloch hill before crossing the Allt Mor and then ascending Beinn nan Eun. 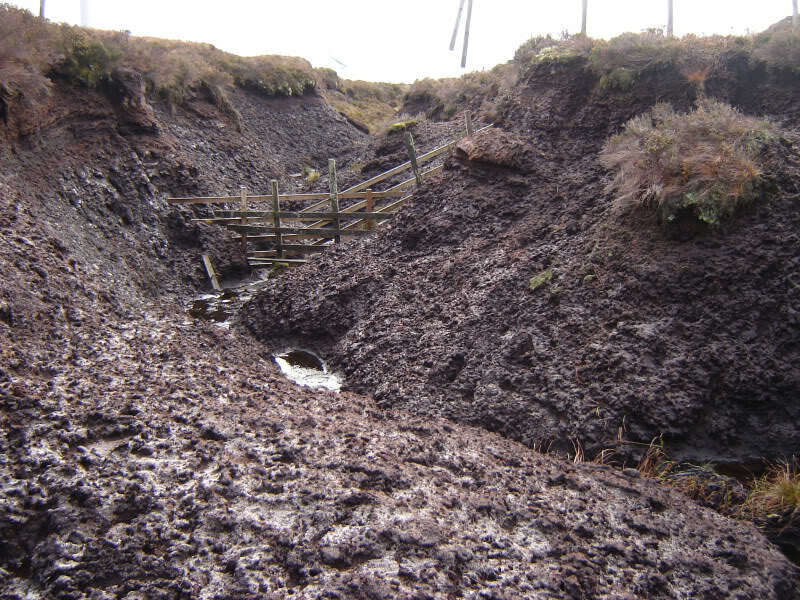 The final ascent of Beinn nan Eun is over lots of peat hags. 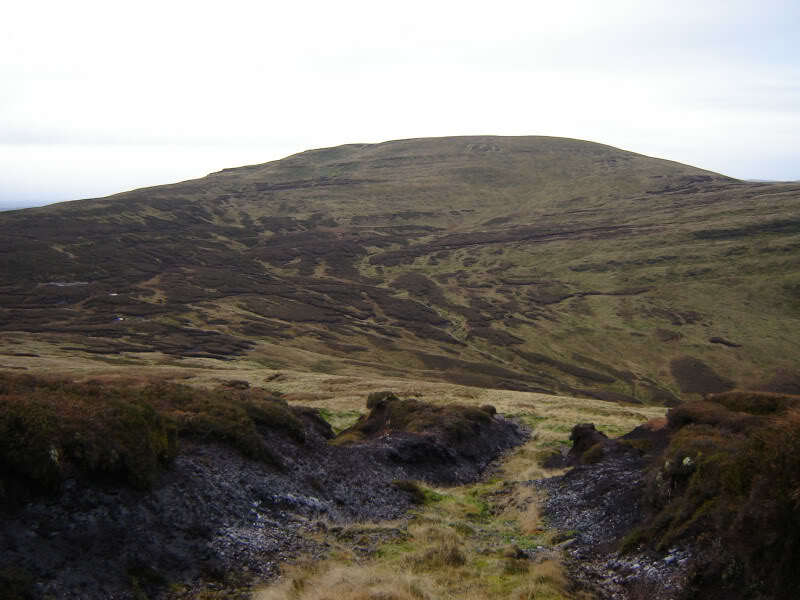 It took 1Hr 50Mins to reach the summit. 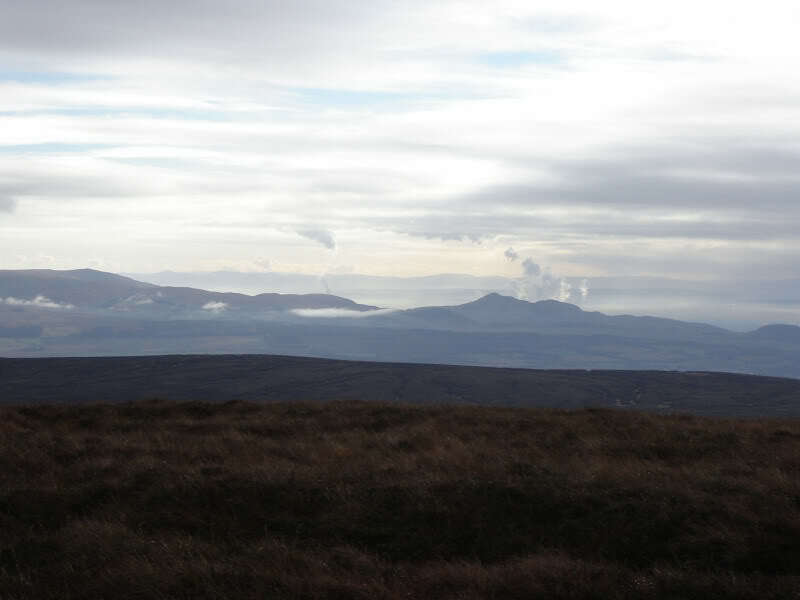 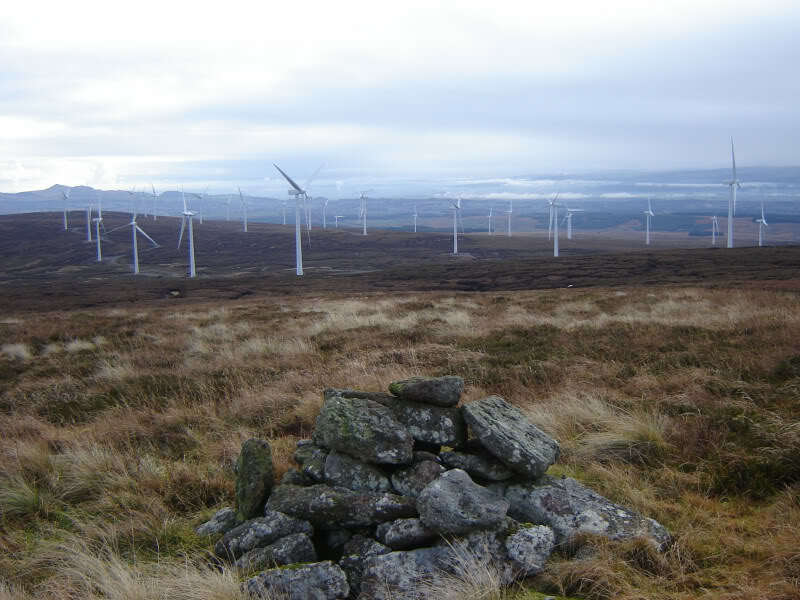 From the summit of Beinn nan Eun I got good views towards Stirling, Grangemouth and a very close view of a windfarm. 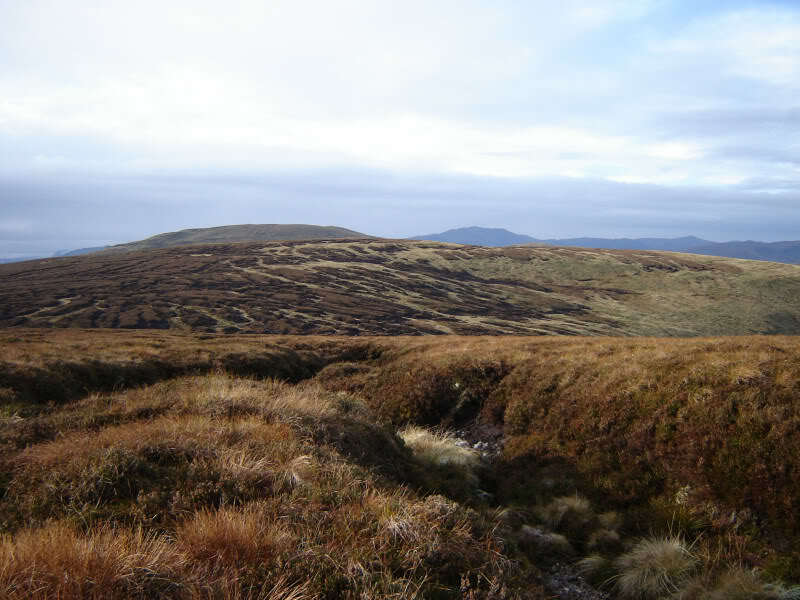 Much of the way from Beinn nan Eun to Beinn Odhar is also across peat hags. 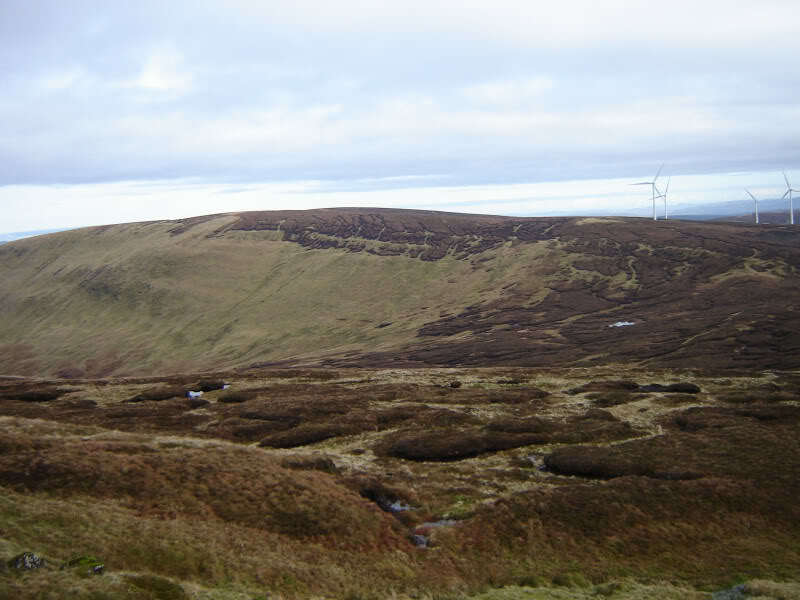 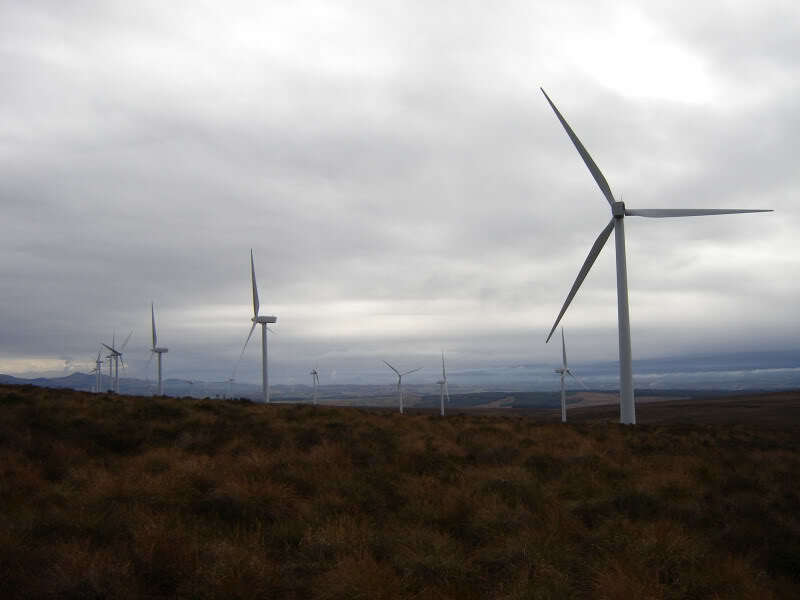 During the traverse of these hills it is possible to get really close to the wind turbines. 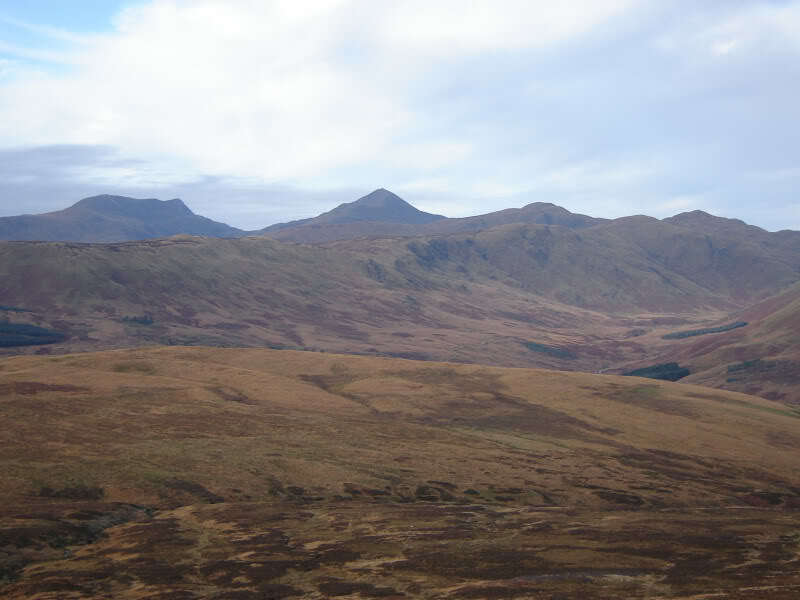 From the summit of Beinn Odhar, I crossed yet more peat hags and aimed for a fence at the high point between Beinn Odhar and Uamh Bheag. 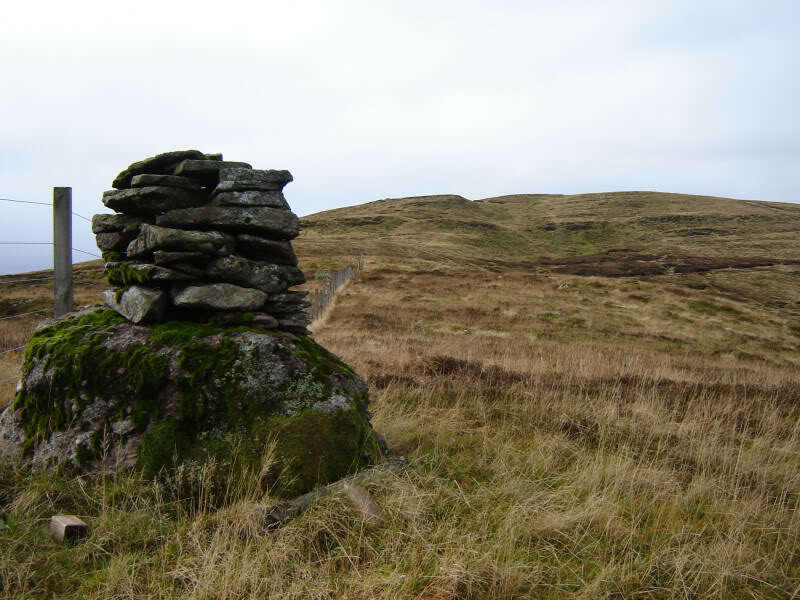 During the ascent of Uamh Bheag I passed several cairns. 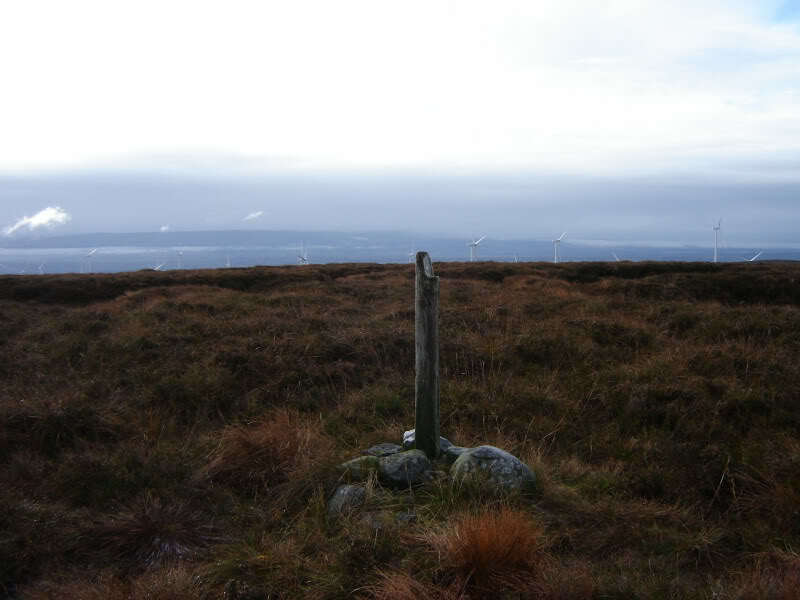 The trig point on Umah Bheag isn't at the summit. 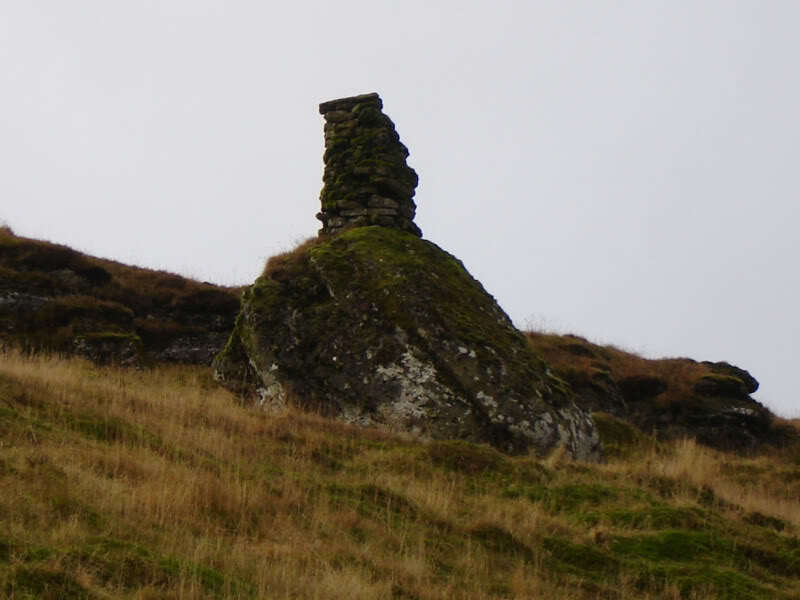 The summit is a few hundred metres further on. 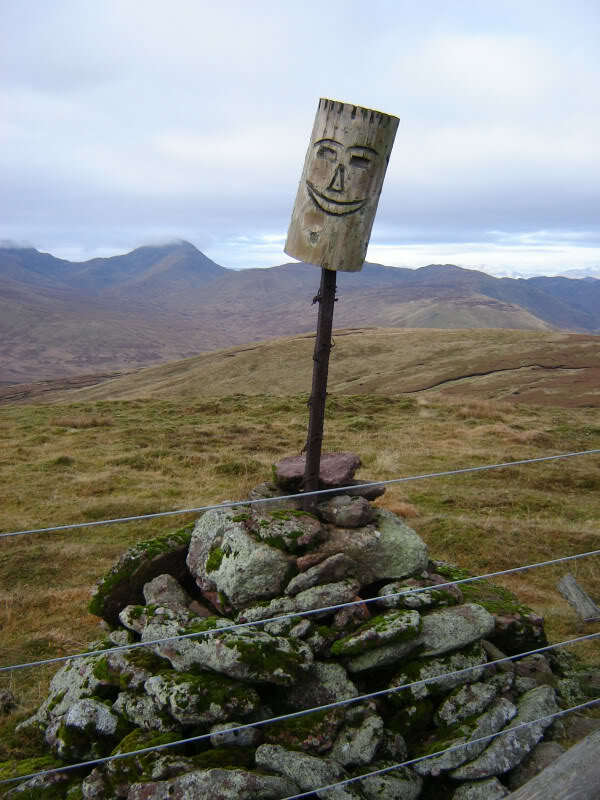 The wooden face above the summit cairn made me smile. 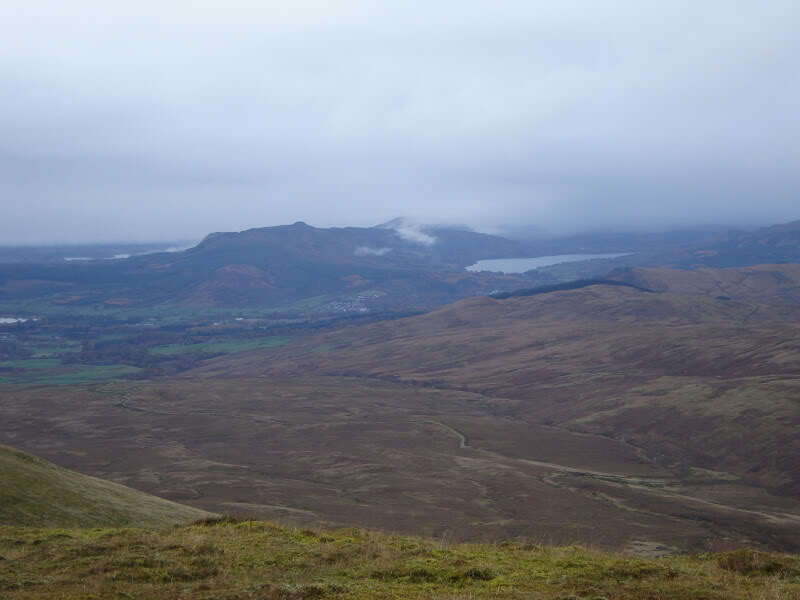 From the summit, I descended to Meall Clacach and then on to Am Beannan. 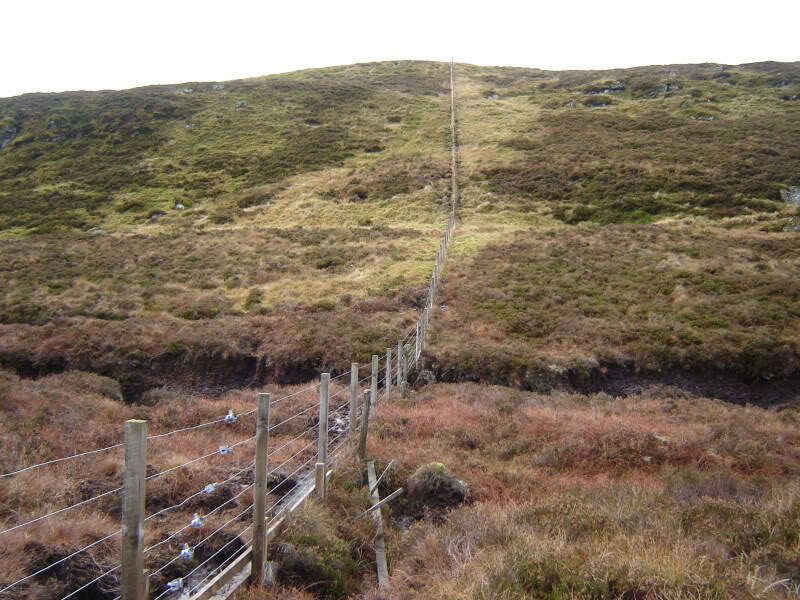 I then descended steeply from Am Beannan. 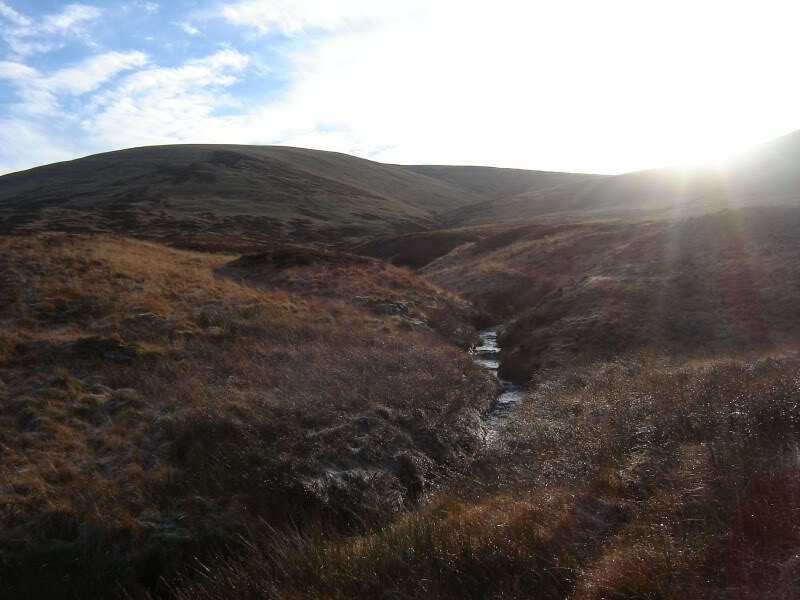 I managed to find a small bridge across the Allt Ollach. 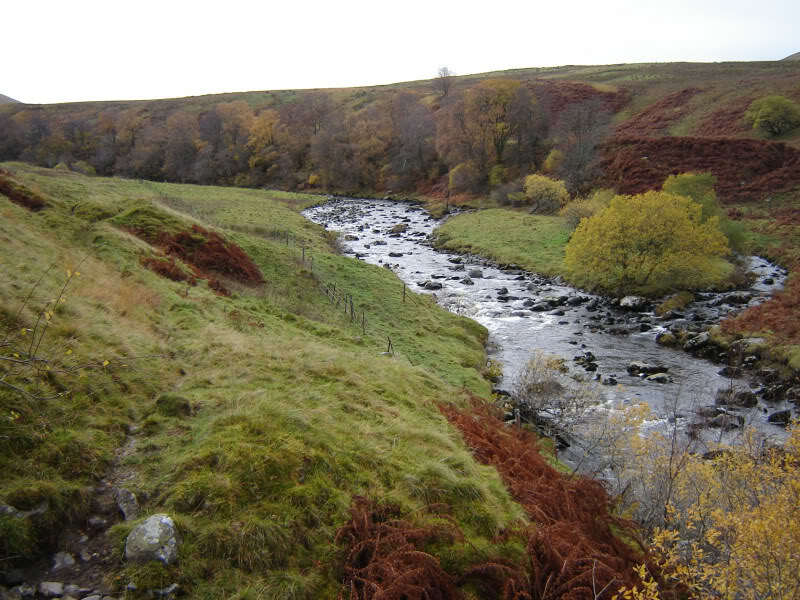 I then descended to the Water of Ruchill and followed the path alongside the river out to the road. 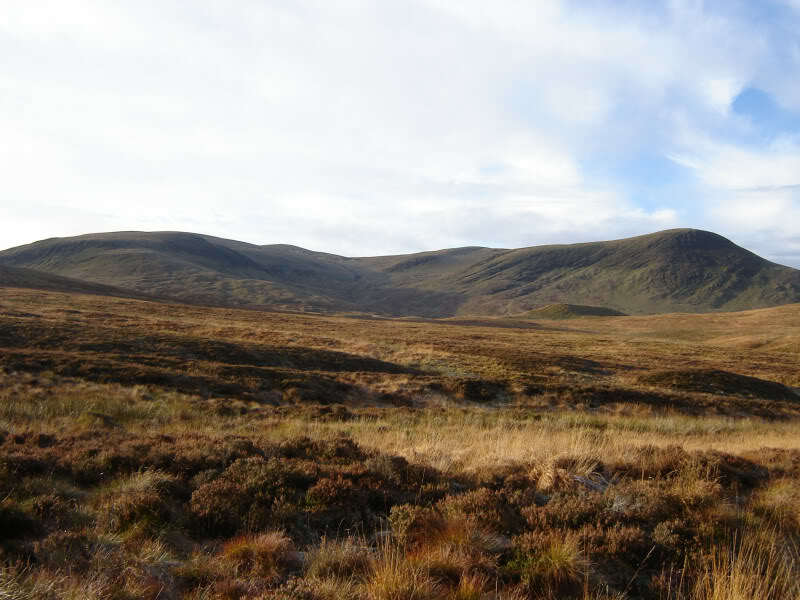 On reaching the road, I walked a mile back to the car park. 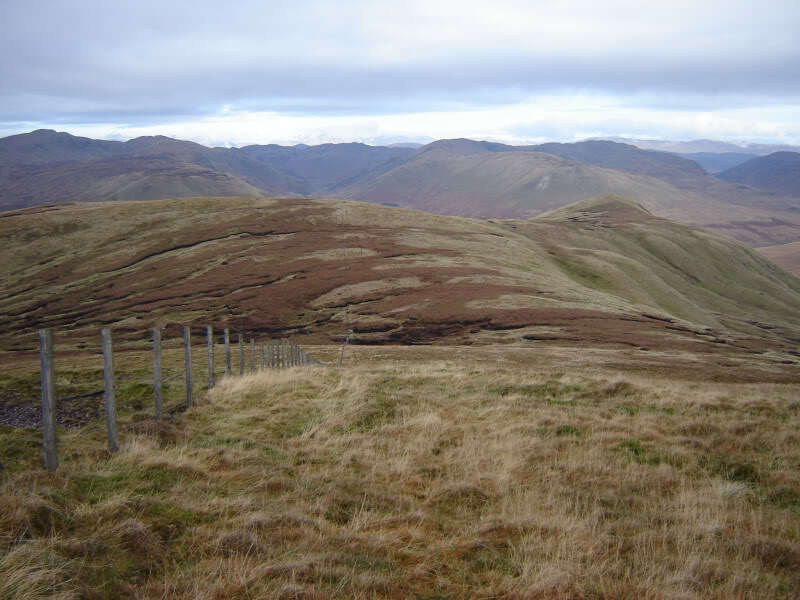 Enjoyed these hills, apart from the peat hags .